Though less popular than soft contact lenses, gas permeable contact lenses generally provide sharper vision — especially if you have astigmatism or certain higher-order aberrations. and other deposits, making them easy to keep clean. Also, GP lenses tend to last much longer than soft contacts, reducing lens replacement costs. instructions regarding lens cleaning and replacement. It is very important to use the lens care system that your eye care professional recommends for gas permeable contact lenses. Rinsing your contact lenses with water can actually make them uncomfortable to wear. Tap water also contains microorganisms that cause eye infections. A single multi-purpose solution for cleaning, disinfecting and storage. In the past, GP lenses often were rinsed with tap water after cleaning. 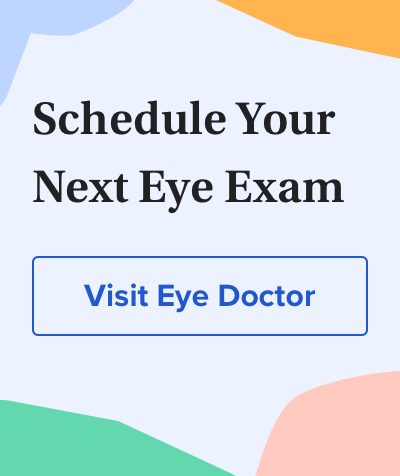 Optometrists and ophthalmologists now recommend against this practice, because microorganisms in tap water can cause eye infections, including Acanthamoeba keratitis. In addition, the United States Food and Drug Administration (FDA) recommends that no type of water (other than that contained in approved contact lens solutions) come in contact with contact lenses. Rinsing gas permeable contacts should be done only with multi-purpose solution or sterile saline. Never rinse your GP lenses in tap water or moisten them with saliva. Start with your right lens. Remove it and place it in the palm of your hand. Apply a few drops of cleaning solution (or multi-purpose solution, if that's what you're using). Gently rub the lens using a back-and-forth motion. Rinse the lens. Gently rub the lens with your index finger, and then rinse again. to your regular lens care regimen to help remove protein deposits. When recommended, enzyme cleaning typically is performed weekly. You also may choose to use a rewetting solution as you wear your lenses. These solutions act as a lubricant to increase the comfort of your GP lenses. It's also important to clean, rinse and air-dry your contact lens case immediately after removing your lenses from the case. Dump out the old solution and rub the inside of the case for at least five seconds with clean fingers. Then briefly fill it with fresh multipurpose solution or sterile saline (not water), discard this liquid, and store the empty case upside down with the caps off. Because lens storage cases can easily become contaminated with bacteria and other organisms, most eye doctors recommend that you replace your GP contact lens case monthly or, at a minimum, every three months. Many care solutions designed for soft lenses cannot be used on GP lenses. Do not switch solutions or use a product that was not recommended by your eye care professional. Using generic or store brands, for example, can be a problem. These solutions may be inappropriate for your specific GP lens material and may cause eye redness, burning and possibly an eye infection. Taking proper care of your GP contact lenses will increase the comfort and lifetime of your lenses, reduce the risk of eye health problems and keep your lens-wearing experience pleasant and worry-free. For more information, visit the GP contact lenses educational website provided by the Contact Lens Manufacturers Association.